Before the Frankfurt Book Fair a few years ago, a partial manuscript of The Three was sent to a selection of editors. A perfect storm of offers followed, and less than a day later, a substantial six figure sum from the Hodder & Stoughton coffers proved sufficient to secure the company Sarah Lotz's phenomenal novel. On the strength of an excerpt alone, this was practically unprecedented, especially for an author absent a track record to trade on. But that, as a matter of fact, isn't entirely accurate: though The Three is the first book to bear her name in such a prominent place outside of South Africa, Lotz has been around the block and back—in the publishing business, that is. In the past, she's worked with her daughter Savannah on the Deadlands saga; she's one of three writers behind Helena S. Paige's pseudonymous Choose Your Own Erotica novels; The Three, however, has most in common with the scathing urban horror Lotz and Louis Greenberg collaborated on as S. L. Grey: not enjoyable novels, no—the events the Downside descents document being altogether too terrible to take pleasure from—but blerrie good books, to be sure. As, in its way, is Lotz's latest. 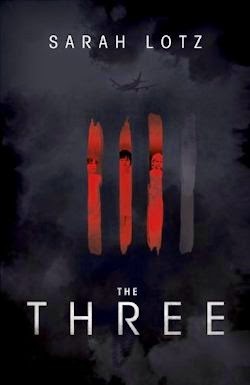 A horror novel with a hell of a high-concept, The Three is a nightmarish indictment of contemporary culture in much the same way The Mall and The Ward were. Instead of demonstrating the darker side of capitalism or the health system, however, here, Lotz sets her sights on the religious right—in particular the way some folks use faith to advance their own agendas. Authors and other artists are often advised against starting their sets with starring attractions; that it's better, in most cases, to save their show-stoppers for later. This is just the first of a whole riot of rules The Three resists: its awful opening serves to set the scene straightaway for the non-traditional novel that follows. Though her legacy looms large later on, we only know Pamela May Donald for a few brief moments. She's a good wife, a good mother, and a good Christian woman; she's also the only American on a connecting flight from Tokyo to Osaka, where she hopes to spend a few days with her daughter. As such, she's a little fretful—afraid, as an infrequent flier, of the strange place which awaits. She needn't be. Pam, as it happens, doesn't live long enough to land in Osaka. There's a flash and a bang; some garbled warnings on the intercom; then the planes crashes—right into the heart of Aokigahara, Japan's infamous suicide forest. In the immediate aftermath of the accident, Pam lives just long enough to leave a message on her cell phone: a personal message for her family and friends, and, pivotally, for her Pastor. And so, of course, Pastor Len declares Pam a prophet, and interprets her last testament as a warning: that the horsemen of the apocalypse are among us; that they have taken the shape of innocents—in particular the children who miraculously survive the crashes. Easy to forget, in the midst of all this madness, that thousands died that day. Only The Three—namely Bobby Small, Hiro Yanagida and Jessica Craddock—escaped largely unharmed. This is their story. The Three is such an overwhelming success that it feels pretty petty to draw attention to its missteps, but the sheer diversity of the many perspectives the text presents does pose a problem. At best, readers are left with an incomplete picture of its participants, thus there's no growing close to these characters. But inasmuch as a distance develops by dint of this decision, it also adds to our sense of the sprawl of it all—a useful impression in a narrative this ambitious. In addition, I was somewhat deflated by the bloodbath in the last act; as regards that, though, I dare say your mileage may vary. But I'm not going to tell you anything else. I urge you, instead, to read about the rest yourself. 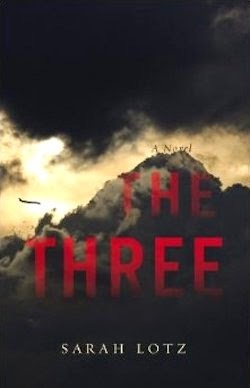 If The Three isn't the year's most chilling work of fiction, I don't know what is. Assiduously ambiguous, brilliantly balanced, carefully controlled and in the final summation fantastically crafted, it makes sense that this is the first of Sarah Lotz's solo novels to be published outside South Africa. The Three is easily the best thing she's written, and she's quite right to want to own it. 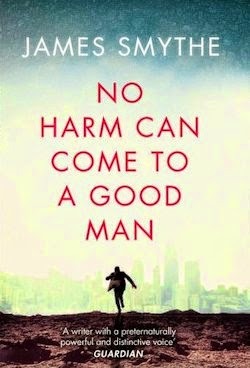 The concept behind this novel really caught my attention, and I tried to get a review copy of it through NetGalley but was alas turned down. And given that I've heard nothing but good reviews of it since it started appearing around the blogosphere, believe me, I regret being turned down every time. 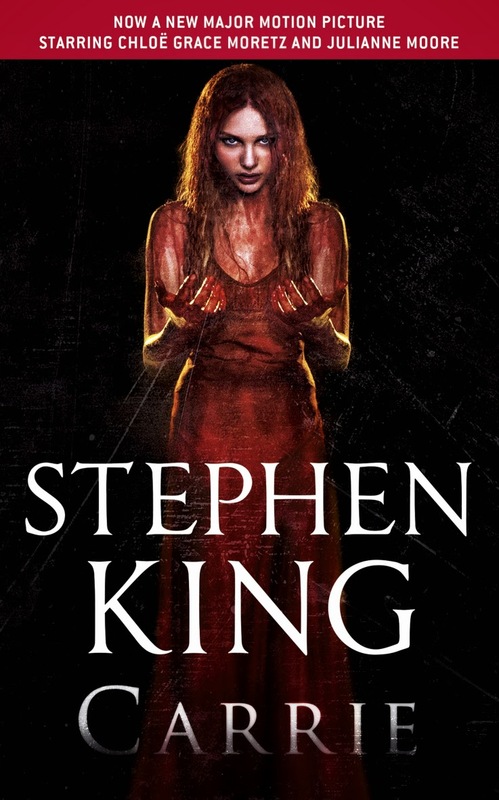 It's one that I will read eventually, I'm sure of that, because even though I don't typically read a lot of horror, I can't shake the feeling that I'd still really enjoy and appreciate Lotz's novel.